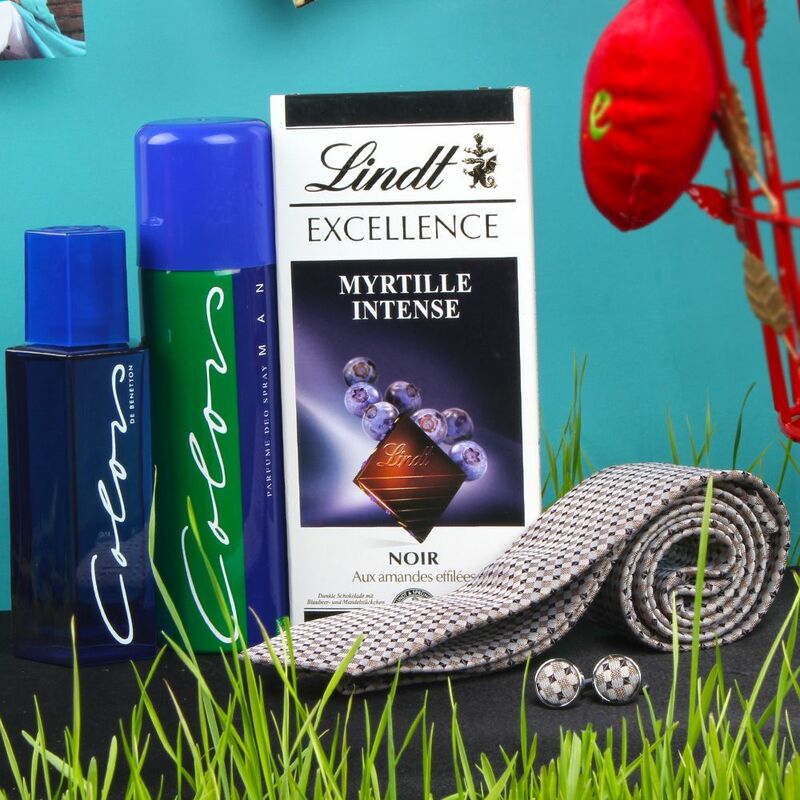 Product Consists : Lindt Excellence Noir Myrtille Intense Chocolate Bar (Weight : 100 Gms), Benetton Color Perfume (Weight : 100 ml), Benetton Color Deodorant (Weight : 200 ml), Micro Jacquard of Beige Brown Weaved Tie and Cufflink along with Box. Love Fragrance has the power to change every ones mood so usually people love to wear this fragrance. 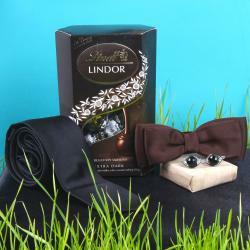 This combo Lindt Excellence Chocolate Bar with Benetton Color Frangrance and Micro Jacquard Tie and Cufflinks can be a perfect gift to delight any man. It is the perfect gift to express your love and gratitude. It expresses deepness of love to your love. Sending memorable gift for your sweet heart which is sure to bring a smile on his face on any occasion via Giftacrossindia. Say Happy Valentine's day and if it is your first Valentine then you are much excited to be with your LOVE deliver this beautiful gift So he can be proud to be your Valentine. Make your dear men feel special by sending this perfect gift combo to him on any special occasion Like Valentine's Day, Birthday, Anniversary and Many more. 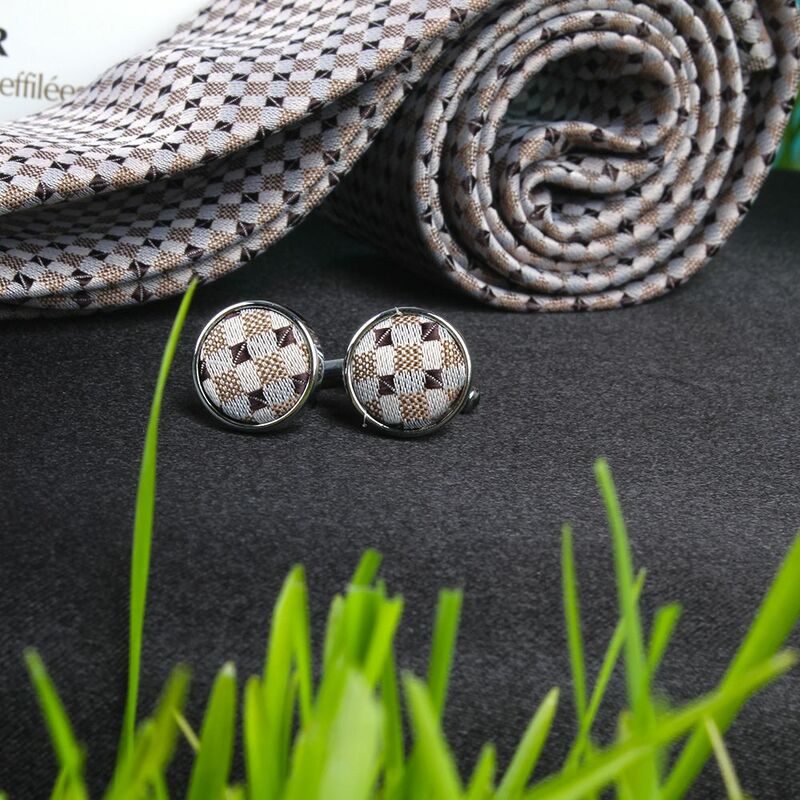 Giftacrosssindia bring to you a mind-blowing collection of Valentine's Gifts like Lindt Excellence Chocolate Bar with Benetton Color Frangrance and Micro Jacquard Tie and Cufflinks that give you so many gift options. Check out our Valentine Gift shop that will help you to choose the best gift for your loved ones. Browse your favorite products, it is very conveniently available for online shopping from anywhere in India with Free Shipping. 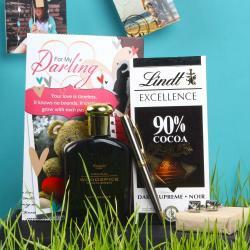 Product Includes : Lindt Excellence Noir Myrtille Intense Chocolate Bar (Weight : 100 Gms), Benetton Color Perfume (Weight : 100 ml), Benetton Color Deodorant (Weight : 200 ml), Micro Jacquard of Beige Brown Weaved Tie and Cufflink along with Box.